The 53rd Chicago International Film Festival will shortly be in full swing with tickets on sale now. A new Artistic Director, Mimi Plauché plans to continue the eclectic mix of programming that has been the trademark of founder Michael Kutza by selecting the best of the awards-season contenders, indie standouts, and hidden gems. The festival dates are October 12- October 26, 2017. Sarah’s Backstage Pass has covered the CIFF starting in 2010, and always looks forward to discovering, learning, educating and interacting. The excellent programming and diverse offerings bring people together to celebrate film as an art form that can indeed amalgamate cultures. The film offerings include 139 features, of which, 25 will celebrate their North American Premiere and 29 their U.S. Premiere. The International films of the Festival that are submissions for the 89th Academy Awards, to be held on (March 4, 2018), include: Racer and the Jailbird (Belgium), Men Don’t Cry (Bosnia and Herzegovina), November (Estonia), BPM (120 Beats Per Minute) (France), Scary Mother (Georgia), In the Fade (Germany), Under the Tree (Iceland), The Insult (Lebanon), Barrage (Luxembourg), Thelma (Norway), Spoor (Poland), The Line (Slovakia), Summer 1993 (Spain), The Square (Sweden), The Divine Order (Switzerland). Please check the program link for tickets and schedule. Marshall is the Opening Night film, on Thursday, October 12 at 7 p.m., with director Reginald Hudlin, actor/producer Chadwick Boseman, actors Josh Gad and Sterling K. Brown, and producer Paula Wagner are all scheduled to attend the premiere at AMC River East 21 (322 E. Illinois St.). 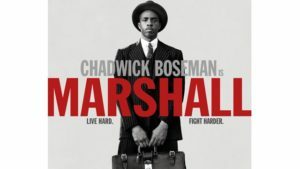 Marshall is based on a true incident in the life of Thurgood Marshall, as a young lawyer, long before his appointment to the U.S. Supreme Court. The NAACP sends Marshall to conservative Connecticut to defend a black chauffeur against his wealthy socialite employer in a sexual assault and attempted murder trial. Marshall is driven to discover the truth in the high profile trial which in turn ultimately set the groundwork for the Civil Rights Movement. The Chicago Architecture Biennial is a partner during the Festival and throughout the four months of the Biennial. Films will explore captivating buildings as well as the architects who designed them. ‘Big Time’ was produced by Sonntag Pictures (Denmark), led by Sara Stockmann. Architect Bjarke Ingels shown here. Sarah’s Backstage Pass will be highlighting the Danish film Big Time, a documentary of the architect Bjarke Ingels. Check back for an interview with the director, Kaspar Astrup Schröder and Bjarke Ingels the subject of the film. The film is spread over a period of 6 years while Bjarke Ingels works to complete his largest projects yet, the New York skyscraper VIA 57W, which houses the newly opened multiplex Landmark at 57 West, and World Trade Center 2. The Wall Street Journal has stated that Bjarke Ingels has ‘rapidly become one of the design world’s biggest stars’ and his name recently appeared in TIME’S 100 Most Influential People. Exploring the international refugee crisis and the ongoing immigration debate are the focus of nine documentaries: Before Summer Ends (Switzerland, France), Mr. Gay Syria ( France, Germany, Turkey), The Other Side of the Wall (Spain), and Sea Sorrow (Vanessa Redgrave’s directorial debut); the features The Charmer (Denmark); The Insult ( Slovakia, Ukraine), Aki Kaurimaski’s The Other Side of Hope (Finland); and the shorts Across My Land (U.S.) and The Comet (Sweden; both part of the program Shorts 5: Speak, See, Remember). Wars may have ended but, for these central characters the traumas still remain: Birds Are Singing in Kigali (Poland), Goodbye Christopher Robin (United Kingdom), Last Flag Flying (U.S.), Men Don’t Cry, (Bosnia and Herzegovina, Slovenia, Germany, Croatia), Mudbound (U.S.), the world premiere of Zoo (United Kingdom) and the shorts Seven Minutes (Israel) and Les Intranquiles (Switzerland; both part of the program Shorts 5: Speak, See, Remember). 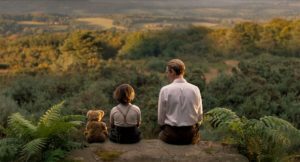 Check back for our coverage of Goodbye Christopher Robin, Sarah Knight Adamson screened the film in London last week, visited the outdoor setting for the film in Hartfield, England as well as the Pooh Corner Shop. She will also interview British director Simon Curtis. Short film notes: 21 of the 53 (40%) shorts are directed by women, 9 out of 53 have Chicago roots (all eight shorts featured in Shorts 1 – Chicago Style: City & State and Standing Nymph and Man (U.S.; Shorts 8 – These Walls Talk: Architecture). A Gentle Night (China; Shorts 6 – Meditations & Emergencies) won the Short Film Palme d’Or, 500,000 Years (Thailand; Shorts 3 – Living After Midnight: After Dark was produced by Kick The Machine, Apichatpong Weerasethakul’s production company. The Burden (Sweden; Shorts 2 – Blurred Lines: Animation) won top prizes at the Annecy Film Festival and the Göteborg Film Festival. Returning shorts filmmakers Helena Giron and Samuel Delgado ( Plus Ultra, Spain; Shorts 3 – Living After Midnight: After Dark ), Kevin Jerome Everson and Claudrena Harold ( Fastest Man in the State, U.S.; Shorts 7 – Another Country: Black Perspective). Sam Shepard, the late great actor, and playwright will be remembered with the presentation of his last film as an actor, Camille Thoman’s stylish thriller Never Here as part of its International Film Noir program. The Chicago International Film Festival runs from October 12-26.